Old map by PICHON - Art déco label Paul Tranoy, Paris. Title: Art déco label Paul Tranoy, Paris. 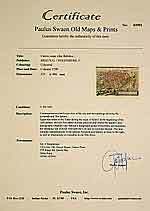 Size: 13.0 x 12.8 inches. 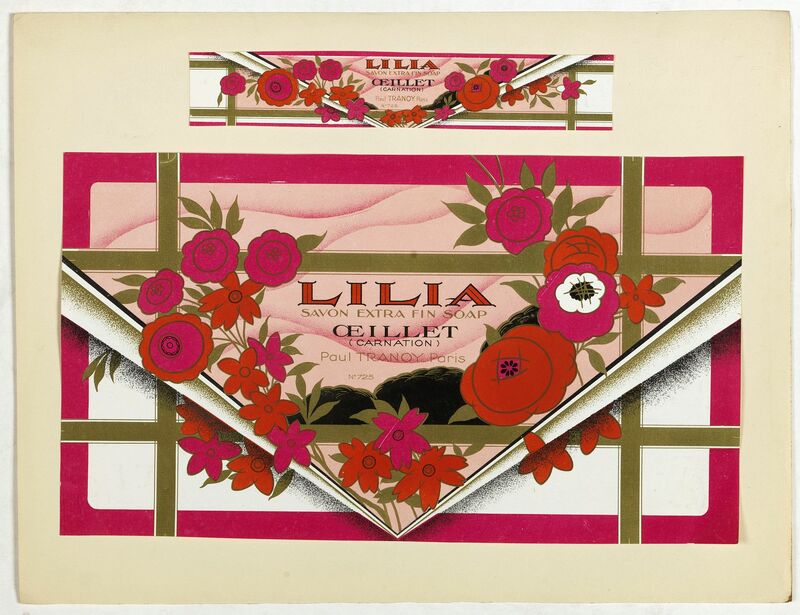 Lithographed perfume label " Lilia Savon extra fin soap - Œillet (carnation) Paul Tranoy Paris N°725 " laid on original cardboard sheet. A striking example of commercial artworks produced by the artist and graphic designer Robert Pichon and his Parisian studio Ateliers de Dessin & Lithographie R. Pichon.